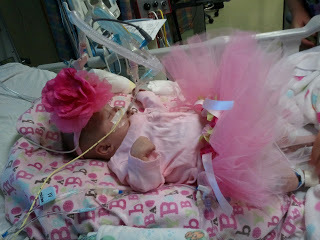 Annabelle’s First Halloween… in the hospital. Um, Yes, I realize that her bow is the size of her head. I share occasionally about heart families I follow and sweet heart warriors I pray for. I LOVE praying for them… but there are just so many. I feel overwhelmed at times with it all, so my apologies that I don’t always follow up with status’s on those sweet ones that I request prayer for. 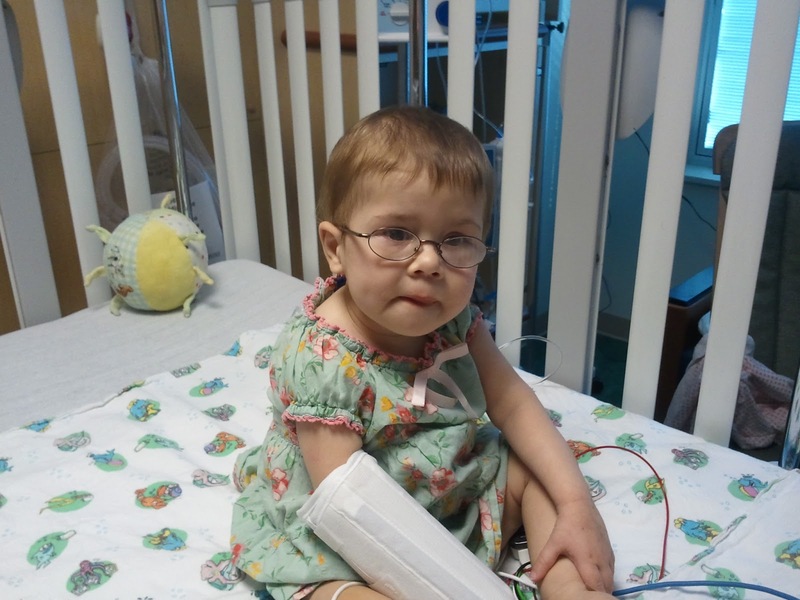 Like sweet Nadia who received her new-to-her heart just a alittle over a week ago. She was very touch and go for a long while, but I’m super pleased to report that things are looking SO SO SO “up” for her! She just got her breathing tube taken out yesterday and is awake and wow… just doing amazing considering the rocky road she came through. Or Annabelle’s heart friend, Anna Reese, who even though doctors advised that they give up on her, she’s thriving and doing fabulous… starting to even say words and sit up on her own… which many thought would never be able to happen. A miracle child, that little one. And then there are families such as this one… who people email me about, who completely break my heart just reading about their journey. 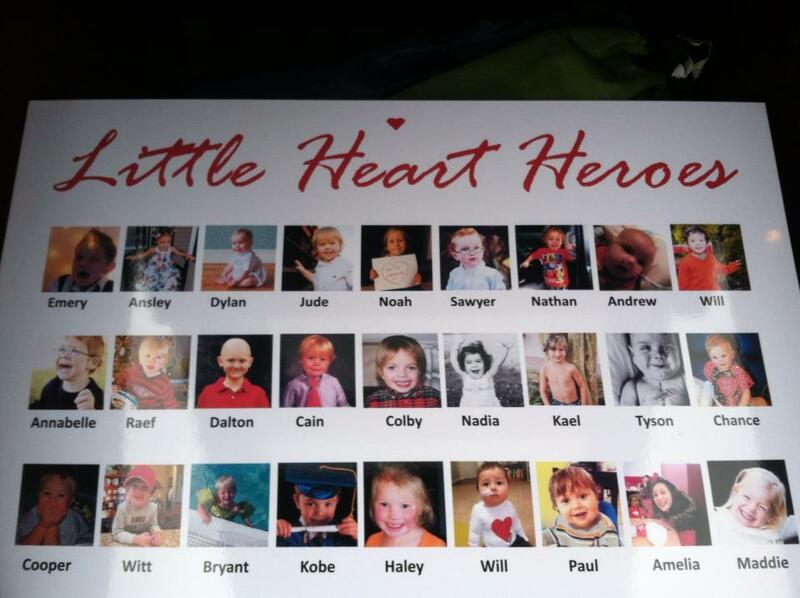 Or sweet warrior friends from our local hospital… like these little warriors pictured here on a poster that one of the local heart mom’s made in honor of this week. Or… all the fallen heart heroes who are in heaven, finally pain free, playing with Jesus… like Joshua and James and Riley and Gavin and Sarah and Reagan and Justice and Ewan and so many others I have followed and cried for and prayed for since I came into the heart family. There so many more names I could list here… way too many. A sweet lady emailed me yesterday, asking if it was really true that 1 out of every 100 babies is born with a heart defect. Yup. It’s true. When your child is one of the 99… it doesn’t really seem like a big number. That’s only 1%, right? But when your child is that 1%… the number is staggering. I could not make you aware of Congenital Heart Defects without introducing you to some of the braver fighters that live with the awareness every single day of their lives. If there are CHD fighters that YOU pray for… or if you are a CHD mom/dad and have a page/blog/website that you list updates, please post them in the comments so we can pray for you! I can’t follow everyone… but everyone that crosses my path, I do promise to pray for. And there is much power in prayer. In that, I am a firm believer! I've been following along on your journey for a few years now. Cried along with you, too, and rejoiced when Annabelle got her heart, and made it home, etc…! My daughter Megan, now 8, has HLHS, and some associated complications, and we are now in the process of considering transplant; she could end up needing heart/lung…still doing testing, etc. She has a page on Carepages.com: her page name is Meganspage. Thanks! I just have to thank you for your blog and sharing your families story. I know you already follow my blog but I just wanted to share with you that a friend of mine introduced me to your sweet girl when I found out my daughter Raygen would be born with HLHS. 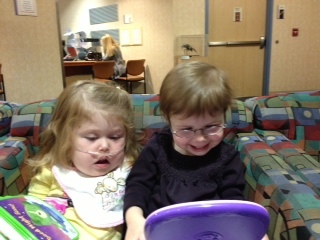 I remember sitting in the CICU with Raygen after her Norwood when Annabelle got her new heart and I was so happy. Our girls go through so much and I feel like I love them all like they are mine. You are a inspiration to heart moms and thank you for sharing Annabelle's amazing journery. Raygen is now almost 2 in March and I can't be more happier. thanks so much for sharing these posts and spreading awareness.